Founded in 2006, BM Stairlifts is now one of Ireland's leading stairlift installation and maintenance companies. Our team of qualified engineers and electricians install stairlifts throughout Ireland, 7 days a week. At BM Stairlifts, any savings we make, we pass on to you. Using our extensive technical experience and industry knowledge, we have selected ‘best in class’ new and reconditioned stairlift products available on the market. Having installed thousands of stairlifts, across Ireland, our experienced team will make your stairlift installation as quick and simple as possible. We'll help you through the entire process, providing a free survey of your stairs, talking you through all the available options to suit your needs and budget, installing your lift and providing you with a comprehensive demonstration to ensure that you are fully acquainted with all your stairlift's safety features and operation controls. 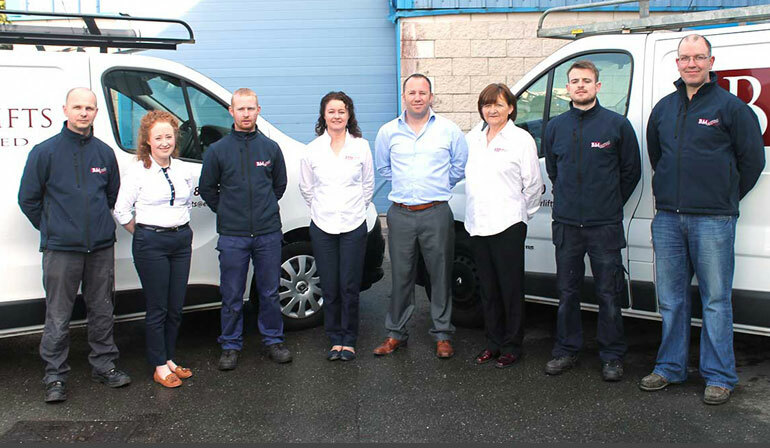 BM Stairlifts provide regular maintenance services to 1000+ customers throughout Ireland. Some of our customers may have had their lifts installed by other companies, but they choose BM Stairlifts' warranty packages and service plans to protect their investment and provide peace of mind regarding the reliability and safety of their lift for years to come. Our electricians are fully qualified and registered with ECSSA. Our engineers are certified by Thyssen Stairlifts, MediTek Stairlifts, Acorn Stairlifts and Otolift Stairlifts. We are also fully insured and are C2 registered with Revenue. BM Stairlifts' long term partnerships with major brands including Acorn, Meditek, ThyssenKrupp and Otolift, allow us to provide you with up-to-date, reliable technology as well as highly competitive quotes.
" We were extremely happy, the installation was quick, smart, efficient and clean. No problems whatsoever, we get great use out of our stairlift. " Chairlift or Stairlift - What's the difference?